Home Apple Development iPod nano – A Long Way Before It’s Here The Way It Is! iPod nano – A Long Way Before It’s Here The Way It Is! Apple products probably are the most rapidly developed devices in the world of technology. 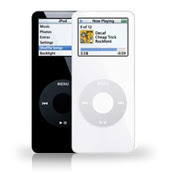 To measure the progress, let’s take one of Apples successful products – iPod nano. Below you can see the differences between the first and the 6th (the last so far) generations. You can compare the two and see how huge the progress has been in only 4 years! Colors- silver, graphite, blue, green, orange, pink, red Special. 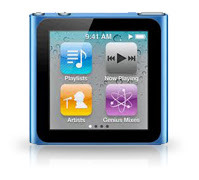 iPod nano actually is a global product, and its 29 UI languages prove this fact. The last version has a capacity of 240 to 1000 songs in 128-Kbps format – this is a whole library! Why do we love iPod’s so much, even now, when the world is so crowded by smartphones and numerous devices for music and video? Because: we can use iPod nano at the gym, while riding a bike, and with most leisurely outdoor activities. It’s so small and light that can clip on the collar or sleeve with an incredible ease, iPod nano has the “apple / line-out” connector, features pausable AM/FM radio, has a touch screen for stress-free navigation, and it turns on and off instead of just switching to a “sleep mode”!